I’m a huge fan of Heirloom, especially after our wildly fun The E List Girls Night Out last year. And now it’s even better: a new chef and an entirely locavore menu. Carey Savona (ex of Nobu, NY) has raised the bar with his locally sourced, revamped versions of traditional American foods. Start with a pile of charred Gypsy peppers, roasted and salted and as addictive as potato chips but oh, so much healthier. Next, a chunky sugar pea puree to spread on husks of grilled fresh bread. 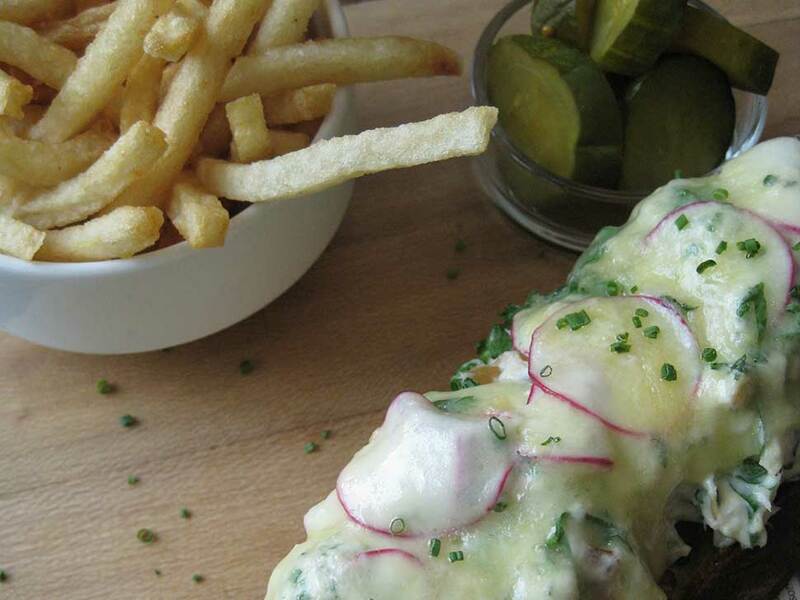 Lunch was Carey’s genius rendition of a tuna melt: smoked New England trout piled on artisanal bread, smothered with cheddar and radish slivers, served with a side of homemade pickles (newly legal in CT) and devilishly good fries. Omnivore and vegetarian friendly, the new menu is a must try. Makes you wonder why every restaurant on the Shoreline has yet to embrace this trend. Girls night out anyone? ?